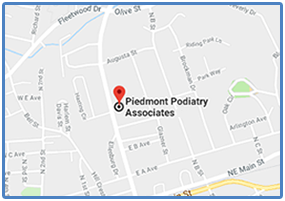 At Piedmont Podiatry Associates, we dedicate our practice to providing comprehensive foot and ankle care to our patients. 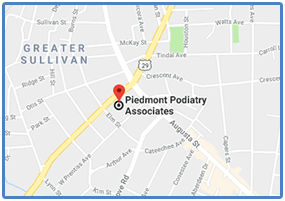 We have 2 locations in Greenville and Easley, SC and four podiatrists who specialize in both non-surgical and surgical care. We offer comprehensive diabetic foot exams and treat conditions such as ingrown toenails, heel pain, toenail fungus, and any other foot or ankle condition you may have. Piedmont Podiatry Associates accepts most insurance plans and we welcome new patients. If you have any questions or would like to schedule an appointment, call one of our offices today!